At MDB, our community is tight-knit. Our members spend many hours in the week together, sharing their passions for mobile technology and bringing their ideas to life. MDB fosters an environment in which members form new friendships and have fun. Every new member in MDB gets paired with an older member in order to ease their transition into our community. 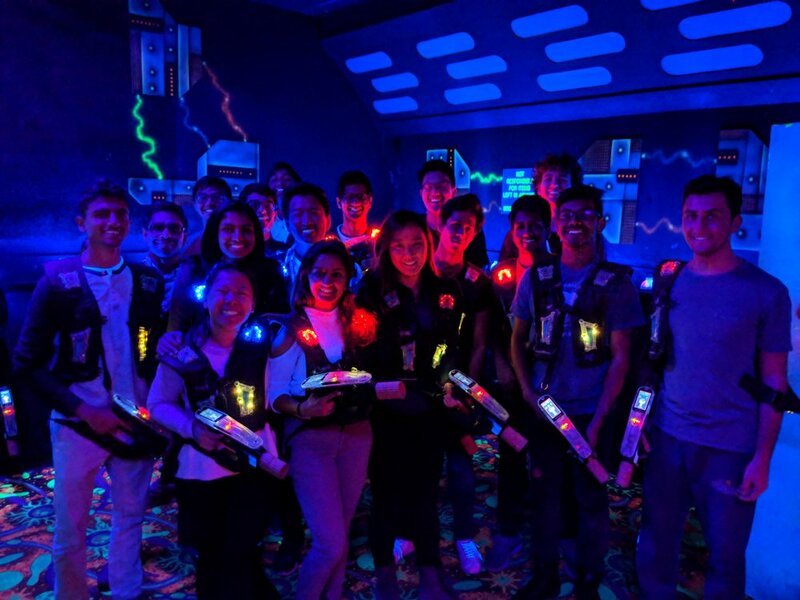 Challenges are released every week for pairs to complete together, and the pairs who complete the most challenges are honored at the end-of-semester banquet. Socials provide a great opportunity for members to connect with their fellow teammates outside of working on their apps. MDB organizes a Mid-Semester Celebration to celebrate the end of the training program, as well as a banquet to reflect on the progress we've made throughout the semester. Each semester, our members go on a retreat as a celebration for all of their hard work through the semester. In the past, members have hiked in Sequoia, rented a yacht in Malibu, and enjoyed an indoor pool and sauna in a Tahoe mansion.